Artist Michael Murphy is back with yet another clever yet controversial piece! 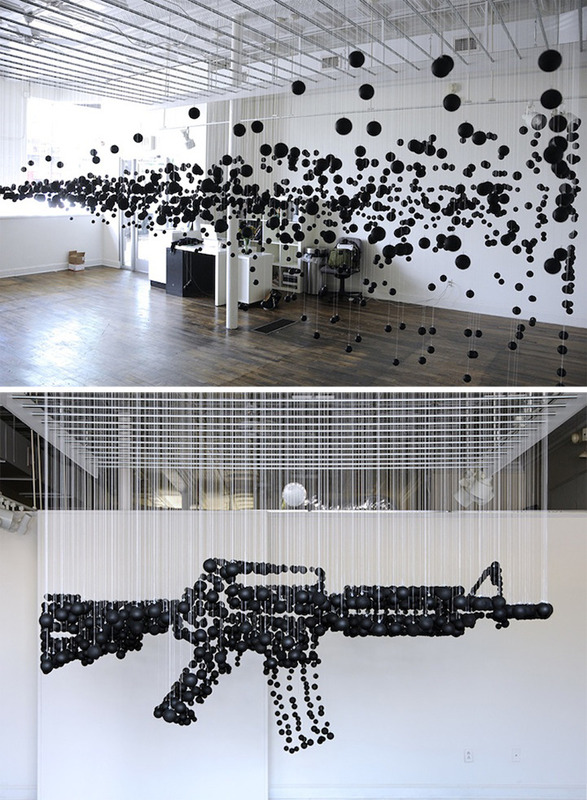 (Who could forget the assault rifle made up of 1200 ping pong balls?) 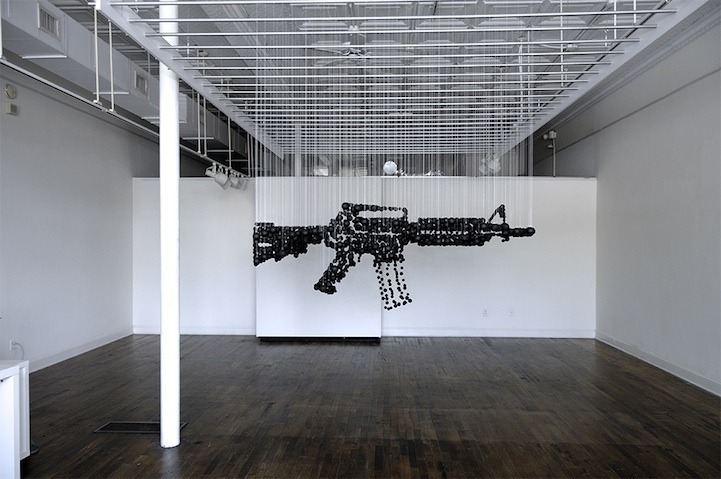 For the open art competition ArtPrize this year, he's created Gun Country, a site specific installation that consists of 130 toy guns. The large installation can currently be found on the terrace of the Urban Institute for Contemporary Arts. 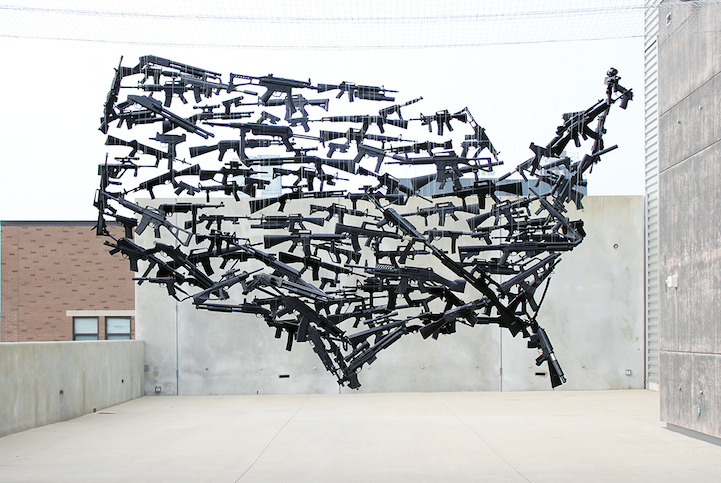 The artwork is an illusion because a map of the United States isn't actually in front the viewer. 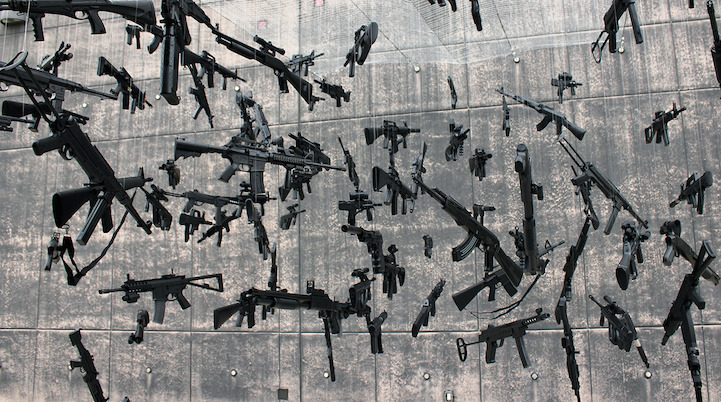 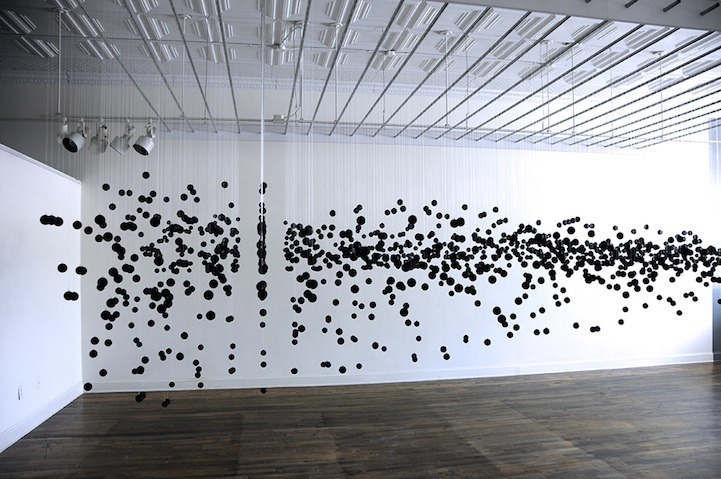 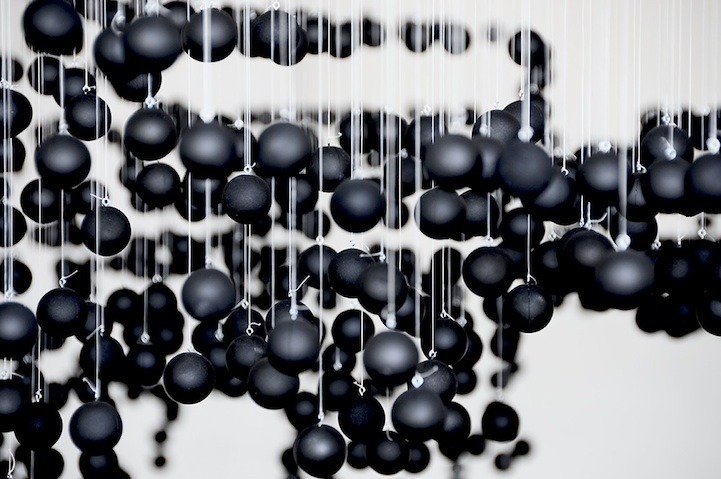 Instead the 130 toy guns, painted black with orange tips, are just carefully suspended in the air. 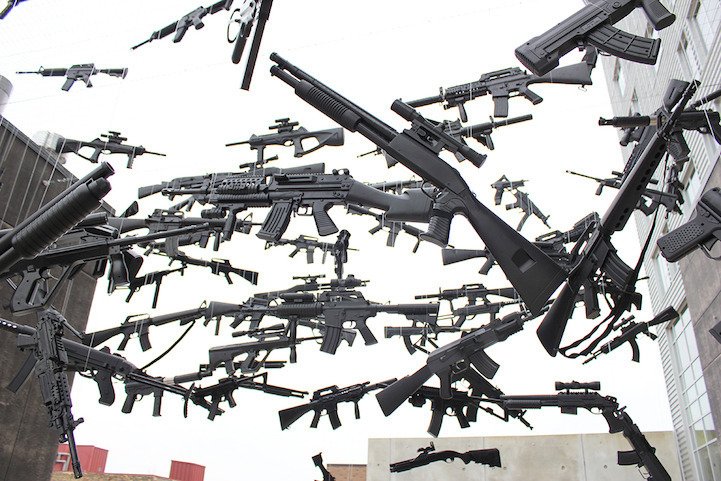 "The question I am most commonly asked is whether the work is for or against guns," says the artist when we ask him what it all means. "The answer is that it’s neither. It is intended to stimulate conversation about guns and gun related issues in the US. 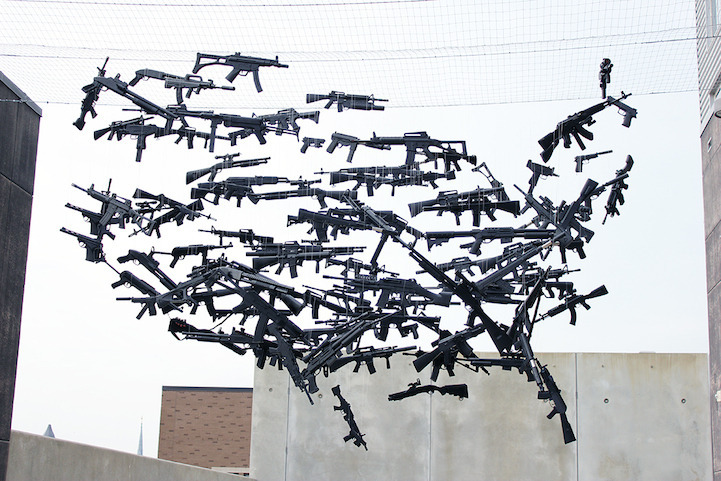 "Every viewer that I have discussed the piece with has seemed inclined to tell me their stance on guns. 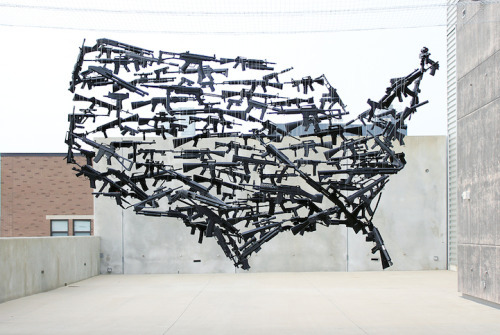 Through this conversation that the piece inspires, it is my hope that people will think more critically about their stance on guns and gun related issues. I believe that through conversation, thoughts and ideas that are vocalized become their own entity and lend themselves to closer scrutiny and critical reflection."